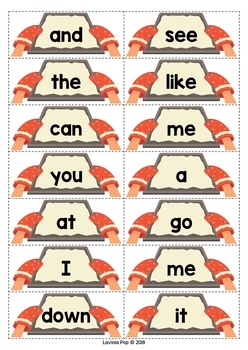 This book contains an editable sight word spelling activity intended for use in centers and small groups with children in Preschool, Kindergarten (Prep) and First Grade. 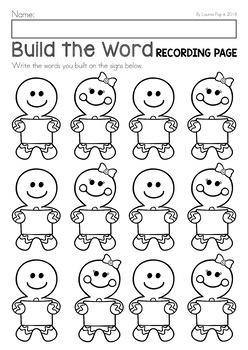 Once you have edited the file, (see instructions below for help with this) print the pages you wish to use, laminate them for durability and cut out the trays and gingerbread people. 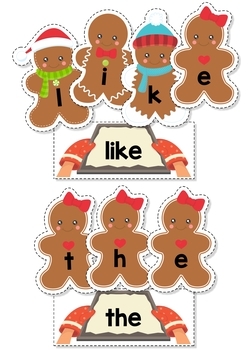 Alternatively, you can provide children with small letter tiles that they can use to build each sight word instead of the gingerbread people. 2. If the font isn’t displaying correctly, you will need to download it from here: https://bit.ly/2FXT2sz. It is free for personal use. 3. 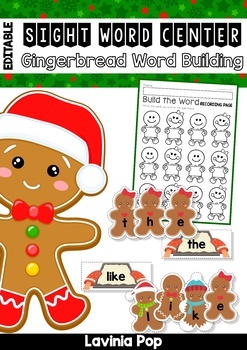 Simply type one word on the editable field on each tray and one letter on each gingerbread person. RICH TEXT DOCUMENT: This file will enable you to edit the font type and size. Enter the field you wish to edit and press CTRL + E. This will open an editing toolbox.